For a saw that’s great on the curves, no workshop is complete without a good saber saw. Sometimes called a ‘jigsaw’, this power saw comes in cordless or corded hand-held models and has a small blade that cuts with an up-and-down motion. Good quality saber saws have a long stroke and about three thousand strokes per minute. 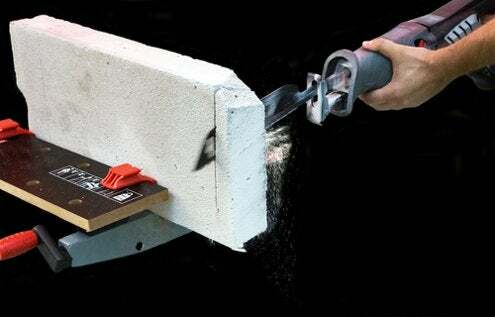 You can quickly change blades to cut leather, linoleum, plaster, wallboard, metal and hardwood up to an inch thick. Start cutting from an edge or from a hole drilled in the piece to receive the blade. Here’s how to keep any saw out of a bind. If a keyhole saw, coping saw, or your saber saw is binding, you may be trying to cut too tight a radius. Switching to a narrower blade, or cutting in from another angle should solve the problem. Saws can also bind on a piece that’s not properly supported, so be sure to let the wood on one side of the cut fall away freely. Get more info at BobVila.com… and right here at home with me, Bob Vila!